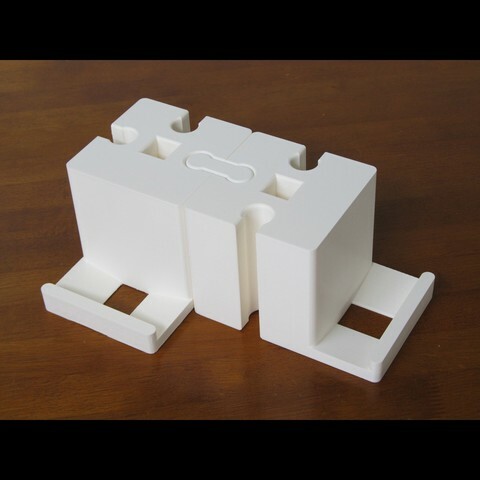 Modular kitchen storage blocks that can be swapped and changed as required. 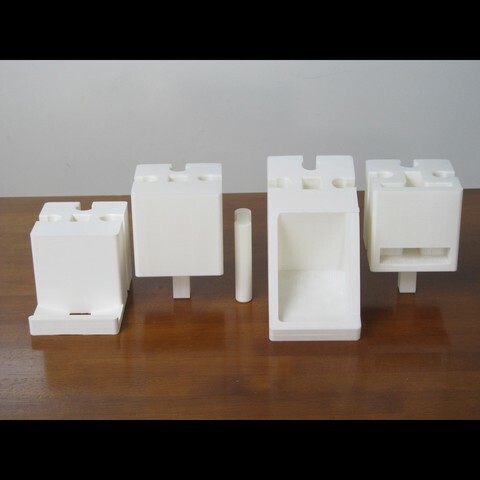 The four blocks depicted are a base block that can hold small plates, a spacer block, a cup/condiment holding block and a top block to hold cutlery. Each block can be connected from the top or from the four sides with the connector piece. This model is intended for storage of primarily clean and dry cutlery / tableware. Hence, the health considerations of the 3D printed plastic are less of a concern because it will not be in direct contact with food. Print as many or as little as needed! Each block is derived from a starting 100m x 100m x 100m dimension excluding extra extrusions.